Hello to you here on Audiko.net! You can easily download a free Paradise Lost Recordings ringtones for your iPhone or mobile. Take your favorite moments from your favorite award-winning track - _ TKR - Die Tonight, _ VESICLE - Mad Scientist, _ BISWEED - Destruction - EXPONAUT Remix [Free Down, or any other track. Depending on a phone model, you can get your ringtone both in the MP3 and m4a formats, played by both mobile phones and iPhones. 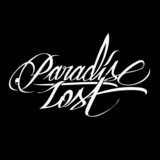 Just select a track, and choose free Paradise Lost Recordings ringtones download option.